I told everyone I was going to Jerusalem so that "I could walk where Jesus walked!" Today marks my thirty-eighth day of living in the most spiritually significant city in all of Christendom: Jerusalem. I absolutely love being here. I never thought I would feel so at home living on Mount Zion right next to the Old City of Jerusalem. 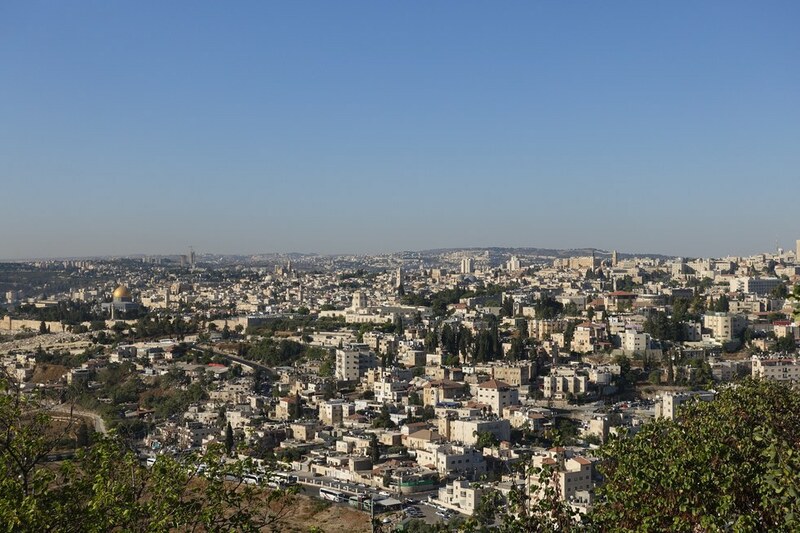 It is a 1 km/square mile city brimming with life as it is home to over 30,000 people: a city with Jews, Muslims, Christians, Catholics, Atheists and Agnostics all living separate, yet overlapping lives. This is a city that God calls His own, and to think that I live only a mere half-mile or a 10-minute walk away from the very spot Jesus proved his unconditional love for humanity on the Cross... Is so surreal. 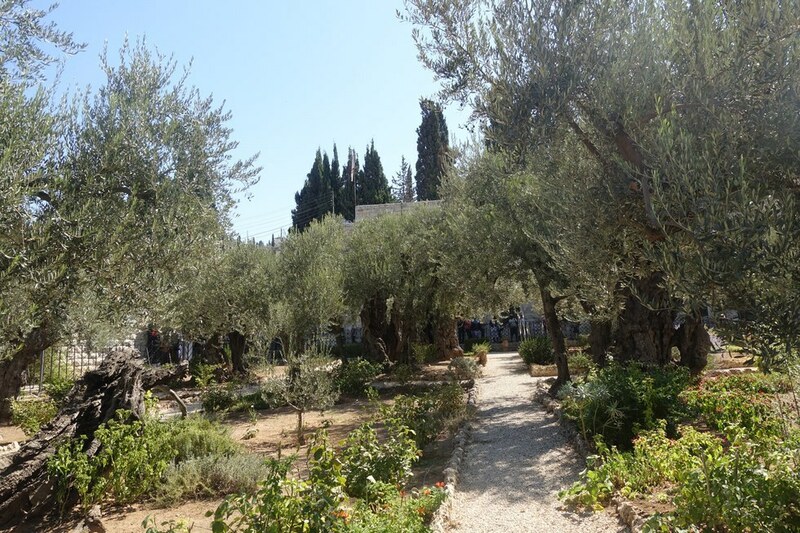 However, I will admit that I came here with the expectation of reaching a “spiritual high.” I wanted to pray on the Mount of Olives and hear God speaking to me! I wanted to walk the Via Dolorosa, the traditionally upheld route that Jesus took when walking to the Cross, and feel an overwhelming sense of gratitude for God’s amazing grace. Most of all, I wanted to arrive at Golgotha, the very foot of the Cross and fall on my knees in complete awe and surrender of all that Christ has done. After all, much of my life has been greatly influenced and shaped by Jesus - His death and resurrection! 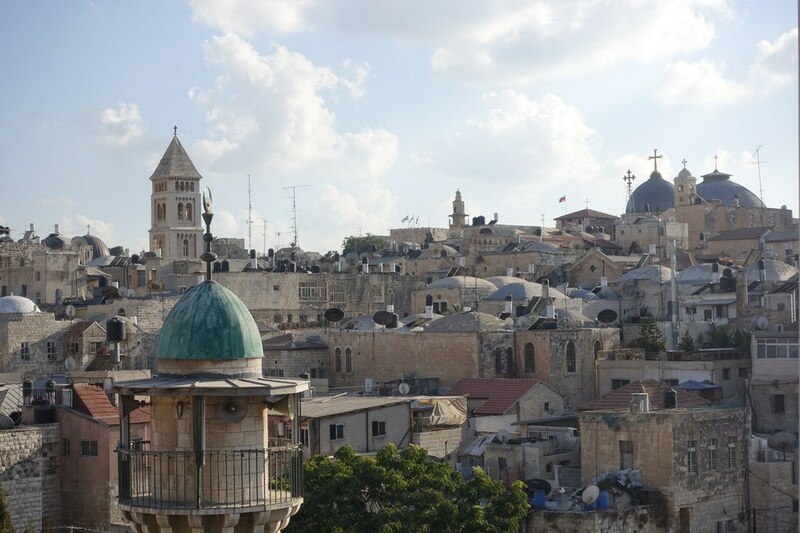 It was not until I arrived at the Church of the Holy Sepulcher, the location of Golgotha, that my dreams of fostering a deeper connection with God in Jerusalem were shattered. Instead of falling to my knees, I found myself trying to quickly snap a photo before squeezing past a group of loud tourists in order to get a breath of fresh air outside. I then started feeling guilty for not feeling anything. When I went to Bethlehem the following week and touched the rock that supposedly Jesus was born on, I tried to psych myself up emotionally, telling myself, “Jasmine, JESUS WAS BORN HERE.” Still, nothing. I had to agree with her. The more we talked, the more we came to the realization of one thing: that Jerusalem is just like any other city in the world. I came here expecting some type of awe-inspiring, heavenly aura and did not find it. 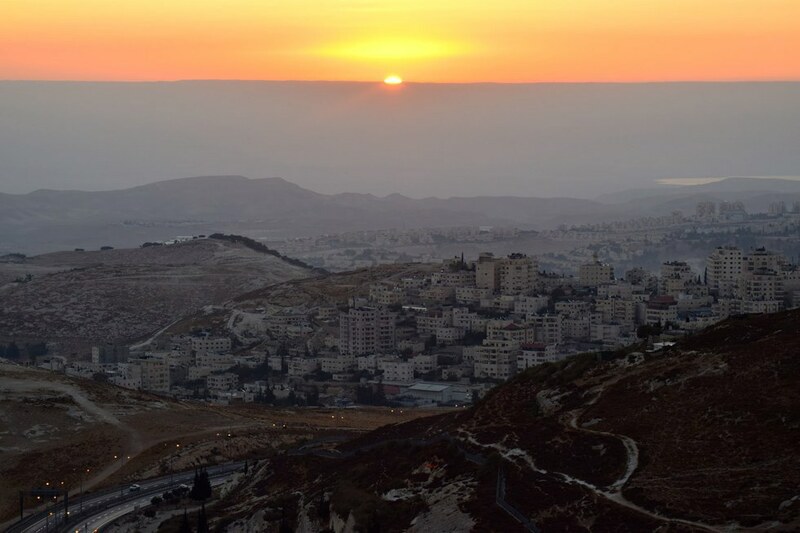 In fact, if it weren't for all the stone buildings and religious sites, Jerusalem's dry landscape, warm weather, and heavy traffic make it almost feel like I'm back at home in Southern-California! This beckoned me to start asking myself the question: Why did God lead me to come all the way over here then if I wasn't going to experience His tangible presence at all of the holy sites? That's when I stopped trying to feel anything, and then I got my answer: I haven't "felt" anything because God is trying to show me He is more "real" than a passing feeling. His Infinite Presence is not limited to Jerusalem's city walls. He is my reality and His Word is my Rock - not the feelings from which I am trying to base my faith. So while I cannot say that I somehow "found" God walking down the Via Dolorosa, standing on Golgotha in the Church of the Holy Sepulcher, sitting on the Temple Steps, or even on the Mount of Olives, I am glad I didn’t – because that would have reduced God to a mere feeling and experience that is momentary and bound to come to an end when I return to the States in December. So, I have resolved to stop trying to "find God" and just allow Him to find me. That is when I started to actually experience God... in the most unexpected places. I felt His love when I was running a 10K race in Jerusalem last week and was sure I could not finish strong until an older Jewish runner stopped to encourage me and ran with me the rest of the way so that I would not give up. I felt His peace in the morning as I read Psalms 91 to the hum of sparrows at dawn. I felt His protection as I walked around the Old City Walls. The gates still pelted with bullet holes from past wars, seeing how God has kept this place still standing despite the fact that it's been fought over for thousands of years. I felt His compassion as I prayed with hundreds of people at the Western Wall. I felt His heart break as I drove past the tall walls and police checkpoints separating Israel from Palestine. Sweetest of all, I felt His grace as I sat in a public bus with people from all walks of life. I was able to see through His eyes, how He looks at every individual as His creation. Now that I look back: God was in all the simple moments that I had been overlooking because I was too busy trying to "find him" in all the glitzy, loud, "historically/spiritually/geographically" significant places. In short, I hope you visit Jerusalem one day. Not with the expectation that you'll find Him more real than He is back at home. God is not more "here" than He is anywhere else. He is neither here nor there. He IS. Which means He is with you wherever you are, no matter the place or the circumstances you face. He is with you regardless of whether you feel Him or not. His love for you is the same yesterday, today, and forever.